In the November issue of PME, Dennis O'Brien (CEO of Lucid) reflects on the power of responsibility and achievement as motivators of personal growth. Lucid is motivated to make a difference – to its clients, to experts, and to patients. 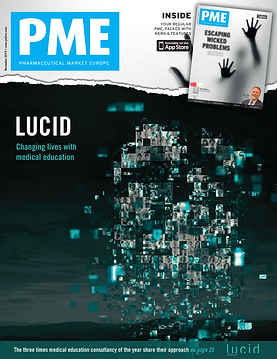 Lucid feels it is no longer enough for healthcare professionals (HCPs) to find medical education programmes interesting; Lucid believes it is also responsible for ensuring that HCPs change their clinical behaviour to improve patient care. Achieving this requires long-term partnerships, where every intervention is a step towards realising a brand vision and changing a patient’s life. Dennis explains that building these powerful partnerships is a big part of the Lucid culture. He also argues that the starting point should always be: What change do we want to see in patient care? Being responsible for making a difference, and achieving this goal through strong partnerships, is what motivates Dennis and the team at Lucid.